Warrior Challenge "Top Fund Raising Student" Prize Announced! The prize gifts not chosen by he grand prize winner will be up for auction after the Warrior Challenge is completed, and the funds raised through the auction will be added to the Challenge total. 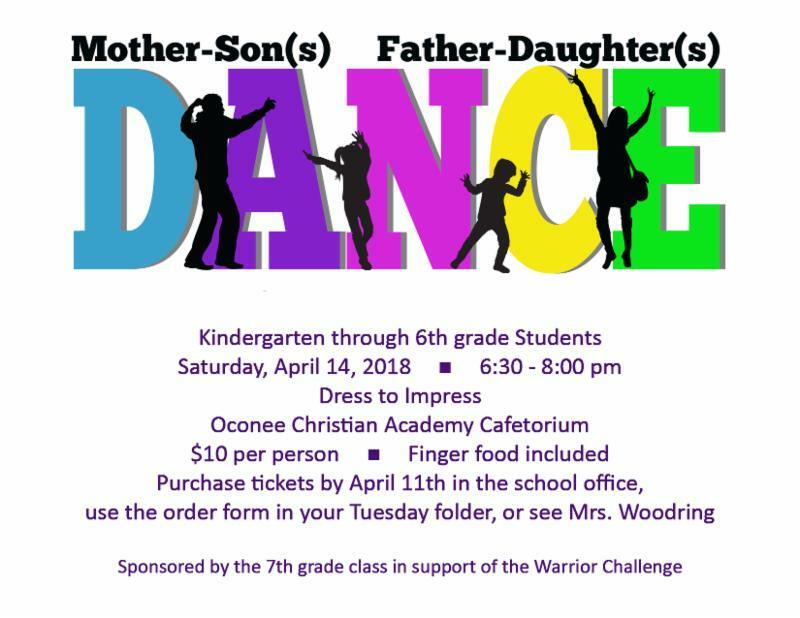 Our students have planned a number of ways to raise money for tuition assistance through the Warrior Challenge! Review our list below and support our classes as they work toward their goal of raising $2,000 per class! 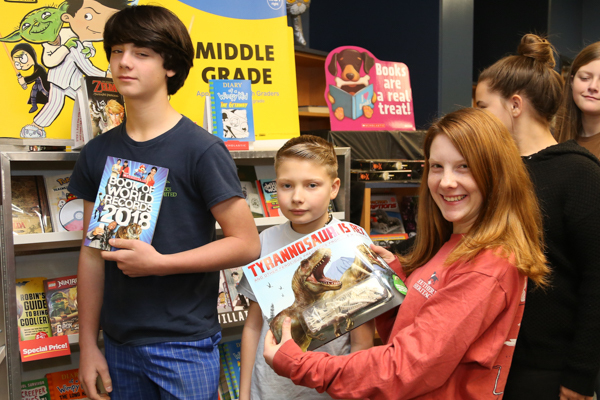 This past week, the 8 th grade again turned in the most money for the Class Drive. They will receive an ice cream during lunch on Friday. Mr. Charles Frick turned in the most money for the Warrior Challenge Golf Classic and will receive a restaurant gift certificate. To date, our Golf Classic has raised $39,400 toward the tournament goal of of $100,000, and the Class Drive has raised $4239 of the $25,000 goal. Our current total toward the $125,000 Warrior Challenge goal is $43,639. Keep up the great work! 12 th Grade: GO FUND ME account with Video highlighting a day in the life of a senior. 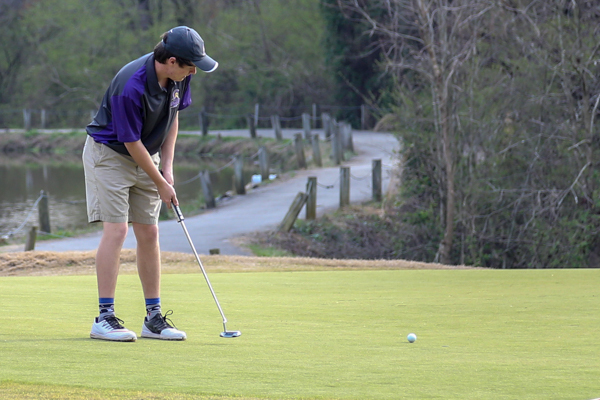 Golfers are needed to play in our Warrior Classic Golf Tournament. We have several teams looking for men or women to play on Monday, April 24. The golfers will also help the team captains raise the $5,000 team goal. Students may form teams with each player responsible for raising $650 or the Student Team goal of $2500. 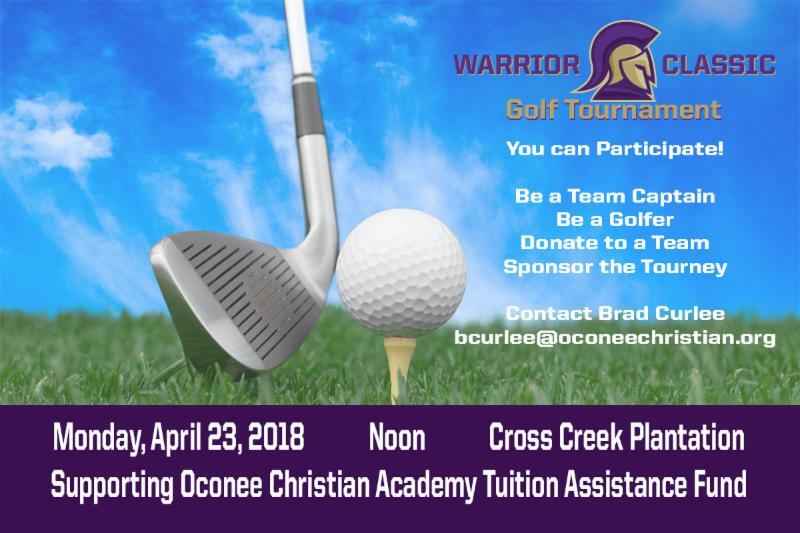 If you are interested in playing on a team, or forming a 3- or 4-person team, please contact Brad Curlee at bcurlee@oconeechristian.org. 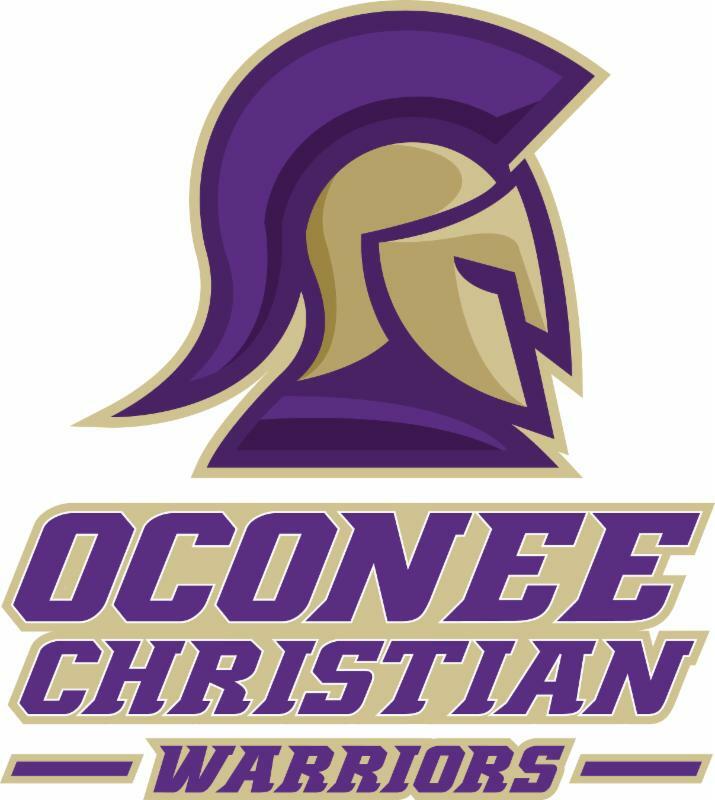 It is time to make your commitment for the 2018-2019 academic year at Oconee Christian Academy. Follow the instructions and enter information. All areas in red boxes are required. You will not be able to continue to the next page until you complete all required information. Your reenrollment will be approved when the online process is complete and your reenrollment fees are PAID. 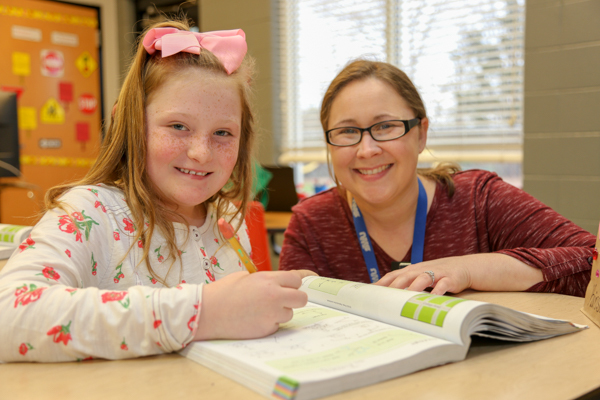 If you have more than one student to reenroll, choose the next student under Now Viewing at the top of the page, then follow the same process. Lost to Oakwood 2-3 in overtime. 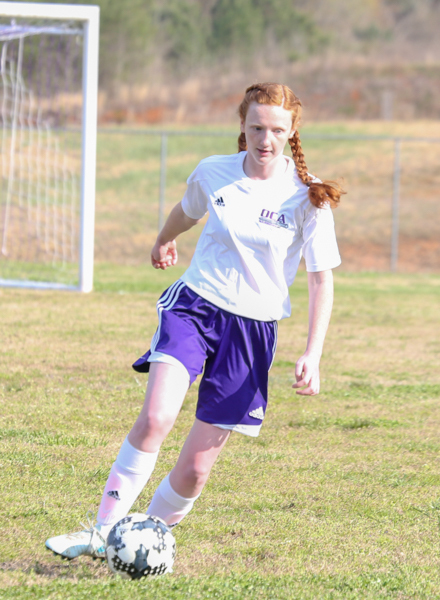 Both Emma Nicholson and Emmie Malphrus scored goals. 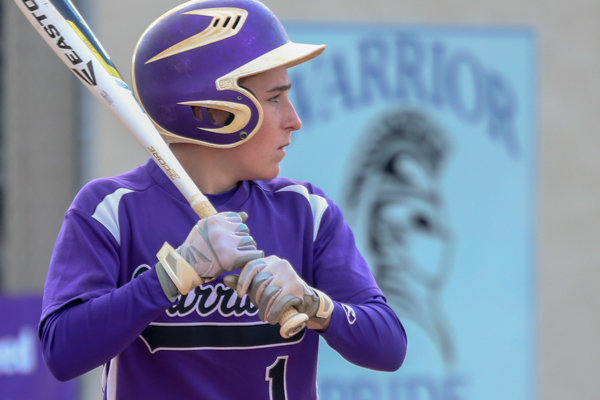 Alex Durham pitched a complete game and hit one homerun and had 4 RBIs. Monday, May 7 has been designated as inclement weather make-up days. Please plan to attend school on this day! 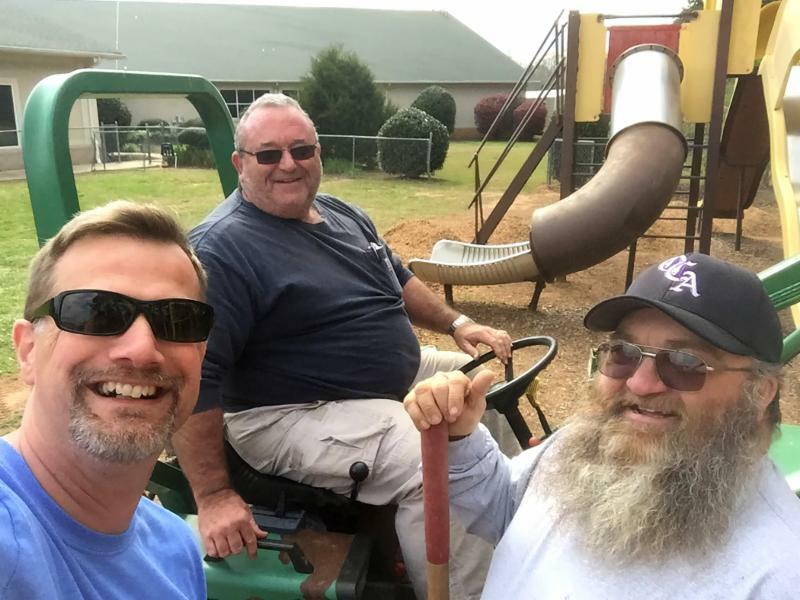 Special thanks goes to Shane Clardy, Gary and Patricia Ragsdale, and Todd Williams for spreading the safety mulch under the new playground. 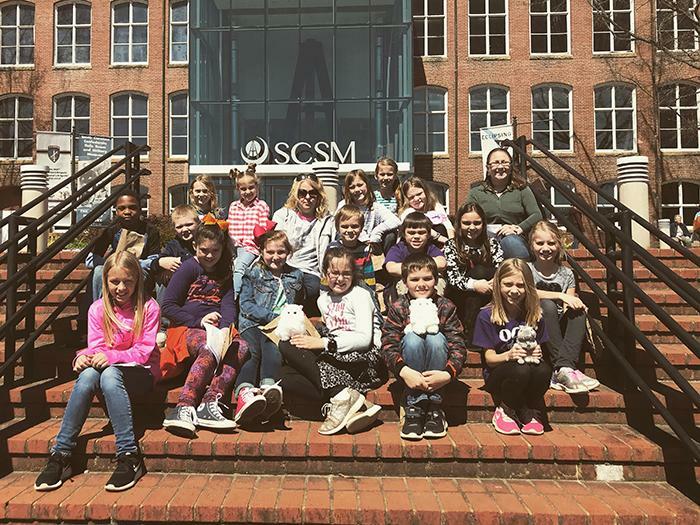 The third and fourth grade students traveled to Columbia to visit the South Carolina State Museum. They went on a scavenger hunt looking for facts about the state,spanning history from the Native Americans to the state's settlers to present day.